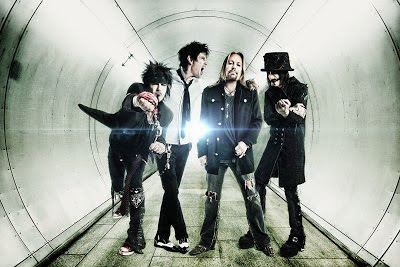 Motley Crue are in the middle of recording the final song of their career, according to producer James Michael. "As we know, the Crue is getting ready to hang it up. And we discussed for a while doing a final song," Michael revealed at the Revolver Golden Gods Awards in Los Angeles on Wednesday. "And that's a tall order. There was a lot of pressure on us to make sure that we did it right and that we celebrated everything that they were known for. So I think we've done it. I'm actually tracking drums with Tommy [Lee] tomorrow. And it's an outstanding song. I think it's gonna be an absolutely amazing way to go out swinging." Last month, guitarist Mick Mars confirmed the band will release a new single for the launch of their farewell tour. Mars’ comments come on the heels of those recently made by bassist Nikki Sixx, who said the band has no plans to issue a new album in sync with the tour, but the group is considering options regarding the release of new music. people cherry-pick songs. So we go, 'Why don't we write songs and find vehicles to get one, two or four songs to ten million people rather than eleven songs to a hundred thousand people. That's how we're thinking. I don't know if it's right or wrong, but that's how we're thinking." After more than three decades together, Motley Crue’s “The Final Tour” will kick off July 2 in Grand Rapids, Michigan with guest Alice Cooper.